Sarah McKinin, a senior associate at The Federal Practice Group, authors a column for FedSmith on an obscure law that over the last 10 years has had a dramatic impact on disability protections for federal employees. Federal employees with medical conditions should pause and give thanks for an obscure law that is almost ten years old and had a revolutionary effect on disability protections once it was enacted. Prior to passage of the ADA Amendments Act (ADAAA), many EEOC complainants found themselves preemptively cut off from relief from disability discrimination because their medical conditions did not last long enough, did not impact their daily living in a substantial enough way, or even if they did, did not substantially impact their daily living in an ongoing and continuous basis. However, thanks to the ADAAA, this is no longer the case. In the federal sector, the EEOC has complied with the ADAAA’s instructions to cover a greater scope of employees with disabilities, by continually expanding protections for disabled workers to include employees suffering from conditions that are of shorter duration, intermittently disabling, or which impact daily living to a degree as now measured by comparison to the average member of the population that does not suffer the same condition and/or limitation. As an example, see the Commission’s recent decision in Cleveland C., etc. al., v. Dep’t. of Defense, EEOC Appeal Nos. 0120170405 – 0120170414 (Sept. 26, 2018), which held that ten police officers for the Pentagon Force Protection Agency, who suffered from a skin condition, Pseudofolliculitis Barbae, were disabled under the ADAAA and that they were aggrieved by an agency policy requiring them to be clean shaven while on duty. The skin condition in question, which is more common among African American men, can cause painful irritation, rashes, sores, scarring, and risk of infection when shaving. EEOC concluded that the skin condition was a ‘disability” under the ADA and ADAAA because it impacted major bodily functions including the skin and the immune system. Having found that the officers’ skin conditions were covered disabilities, the Commission then found that DoD failed to properly analyze their EEO complaints challenging the agency’s position that until the officers “chose” to comply with the shaving requirement, they were stripped of their duties – essentially, forcing to choose between their jobs and their health. DoD argued that this grooming requirement was a business-necessity, crafted to ensure that officers could safely wear a respiratory mask if exposed to dangerous chemicals or explosives, but the Commission was not persuaded that the requirement to wear a mask while clean shaven was necessary for the officers to perform the essential duties of their job, or if so, that reasonable alternatives did not exist. The Commission tasked DoD to conduct a supplemental investigation on these issues. Sarah McKinin is a senior associate at The Federal Practice Group and has substantive experience in federal employment. 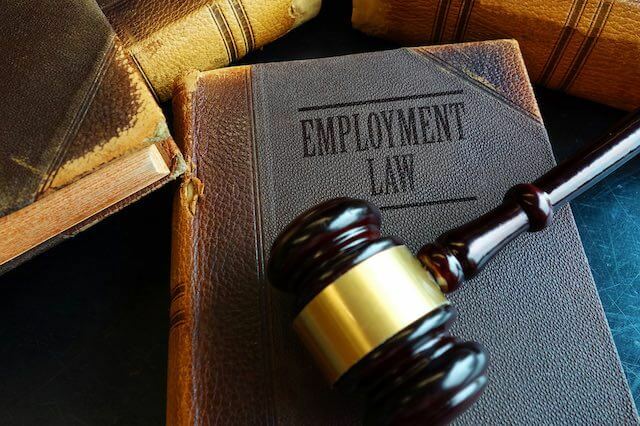 The Federal Practice Group represents employees seeking reasonable accommodations for disabilities and employees who have been subjected to discrimination or reprisal related to their disabilities.